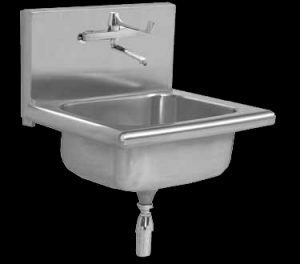 Mini surgeon scrub-up sink (model SMS) size 665 x 554 x 258 mm deep manufactured from grade 304 (18/10) stainless steel 1,6 mm thick complete with an integral splash back 300 mm high with tap holes for a medical elbow action mixer. 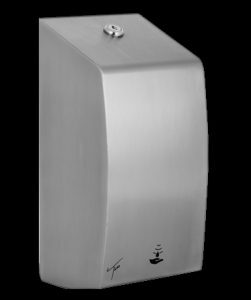 The scrub-up unit has a pressed bowl of 525 x 425 x 258 mm deep which is manufactured from grade 304 (18/10) stainless steel 0.9 mm thick with a 90 mm waste outlet for a basket strainer fitting (included with unit). 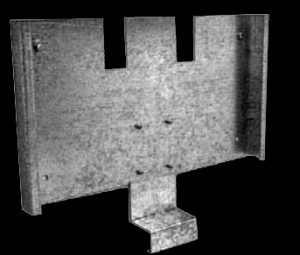 This unit is fitted with removable a galvanized mild steel 1,6 mm thick fixing plate for solid and stable fixing to the wall. 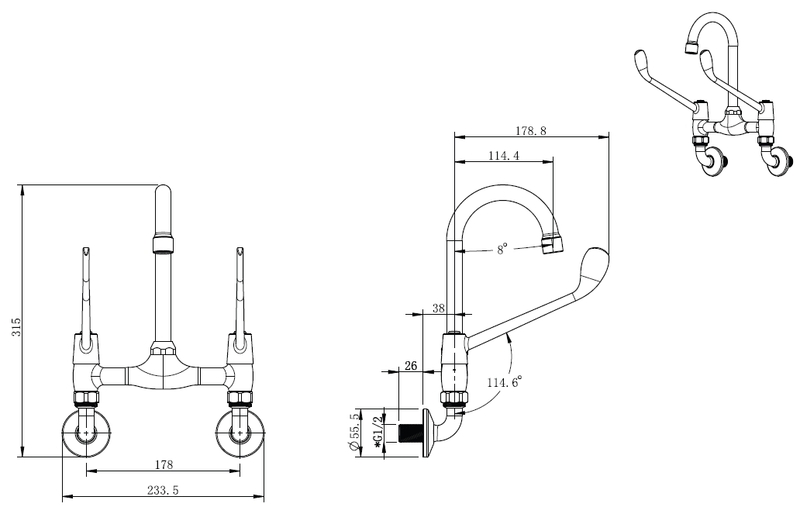 Scrub unit fixed to wall 900 mm high from the top of the front apron to the finish floor level with anchor bolts (bolts specified elsewhere). 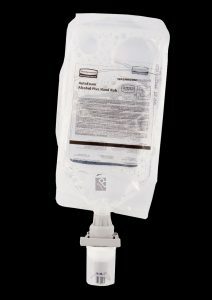 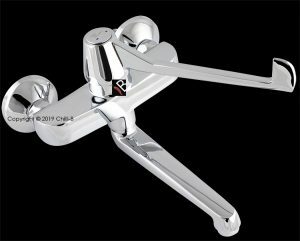 Wall mounted medical elbow action mixer.